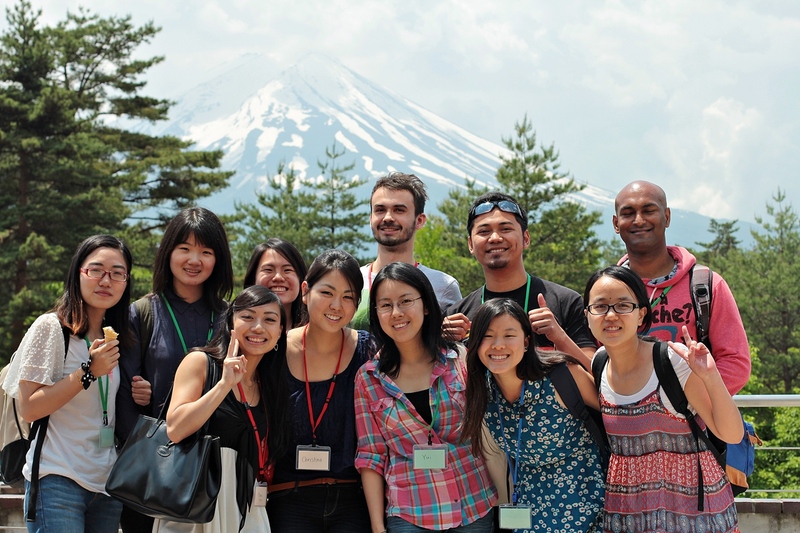 The University of Tokyo GPEAK (GSP & GPES) students recently participated together in a day trip to Mount Fuji, famous UNESCO world heritage site and most sacred of mountains in all of Japan. It takes approximately 2 hours by bus from Tokyo to Mt. Fuji, and we were lucky enough to be blessed with nearly flawless weather, so that our view of the mountain (although technically a dormant volcano) was untainted for most of the day. With is majestic 3776m of height, Mt. Fuji dominates large parts of the landscapes of central Japan and can be seen from faraway locations such as Tokyo and even from Nagoya (on a clear day). 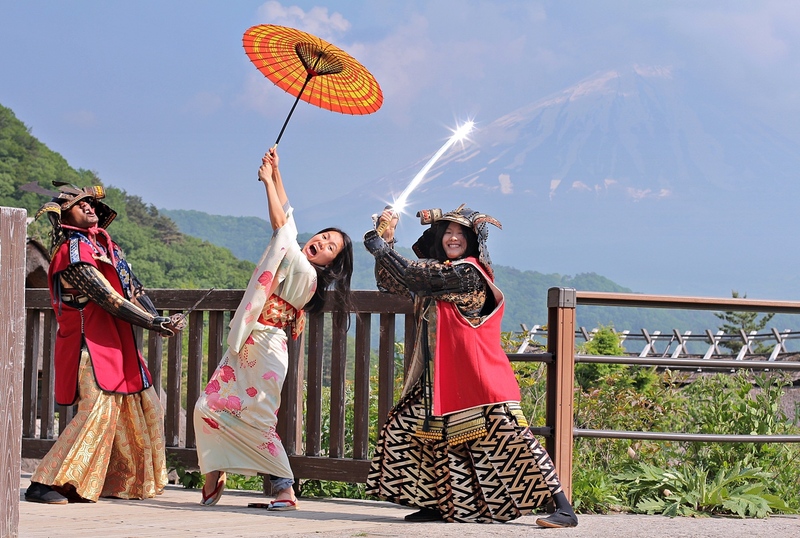 Mount Fuji can be climbed by tourists and hikers, however only during the summer months because throughout the rest of the year the mountain is ususally covered by snow and thus attempting to climb to the top would be too dangerous. There are then stations at Mt. Fuji which denominate the respective height for potential climbers, so that they stay informed how many more meters they still need to climb to reach the top. Our group drove by bus to the 5th station, which is the last that can be accessed by car or bus. This station has many shops and restaurants and offers a fairly decent of view of the mountain. Lunch concluded the first of half of the trip’s program. 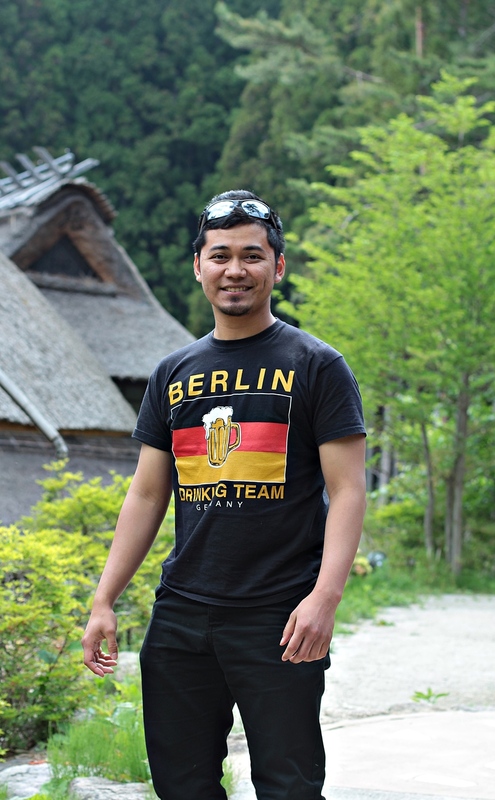 The second part consisted of a trip to a nearby artisanal and folklore village called “Saiko Iyashino-sato Nenba”, where people can experience traditional Japanese arts & crafts, such as woodcarving, glass-making or silk-weaving. 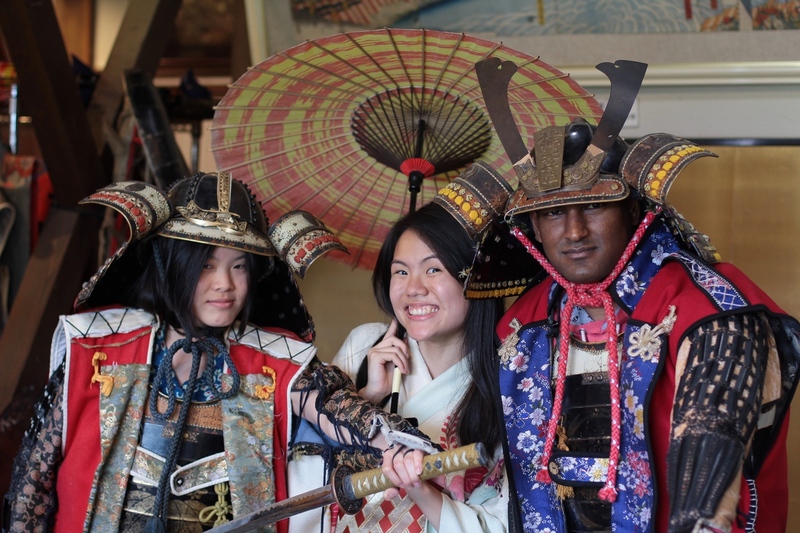 We as GPES students chose a bit more unconventional route and decided to indulge in the lost art of Edo period re-enactment by putting on samurai battle gear or kimonos. This was a lot of fun and was actually very interesting, since it allowed us to understand to hardship of combat first-hand, most notable the heavy armor and limited agility. 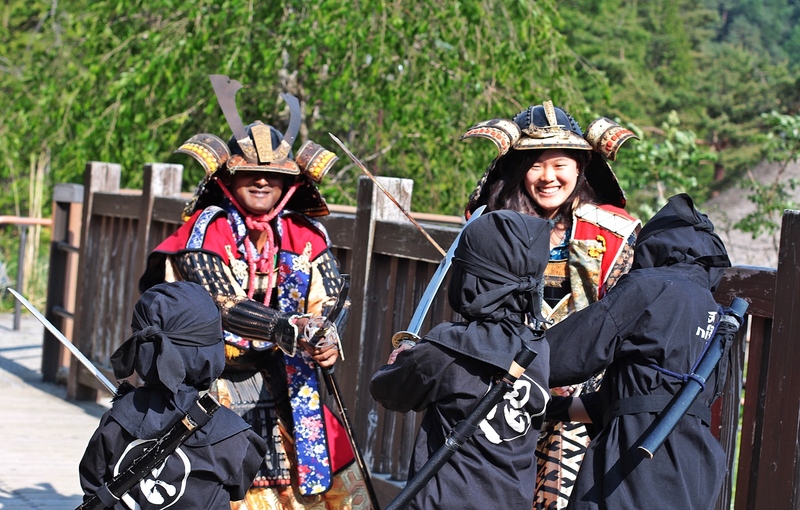 We engaged in fearsome fights with local ninjas and came out triumphant. So all in all, this was an extremely fun experience thanks to the setting, perfect weatherand the awesome people of the GPEAK programs.